The Promise Keeper actually revolves around a West African nail fetish statue (As you know, Africans love their fetishes; see also Trilogy of Terror.). 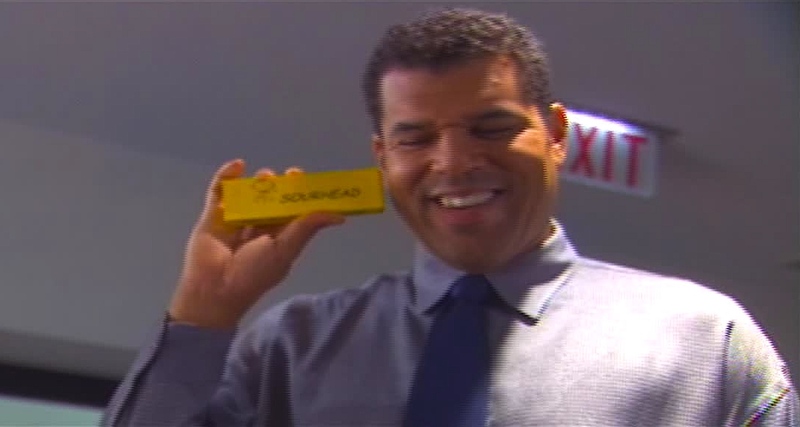 It’s brought to a law office by one of the firm’s partners, Miguel (Ric Arthur), who explains that it was used to seal deals; when a promise was made, a nail was driven in. As soon as the statue takes its place in the office foyer, Miguel’s mystical aunt “senses” that something is wrong. She comes in and takes the medicine bag from inside of the statue, making it “go to sleep.” She then makes another partner, Bernard (Ric Walker), “promise” (wink, wink) to get rid of the evil statue. Meanwhile, Bernard’s daughter, Tina (Lakeisha Woodard), visits him at work. She’s studied African nail fetishes and further expounds that if a promise is broken, the person is punished — an intriguing concept in a law office. “I’ve never seen a fetish this big before,” she adds, obviously never having been to Jared Fogle’s house. Later, he makes her promise to stop skipping school — and for some reason, she decides to consecrate the promise by driving a nail into the statue. Later, as Bernard, Miguel and the third partner, Ranada (Terrina Reese) work late, they start discussing their faults and decide to use the statue to vow to change something about themselves. Bernard then secretly brings the statue back to life by putting “medicine” (some aspirin and lemon drops wrapped in a handkerchief) back into the statue. Soon enough, it becomes apparent that Miguel and Ranada have broken their promises — Miguel to stop bad-mouthing people at the firm (He calls Ranada a beyatch.) and Ranada to demand more from her romantic relationships (She, a partner in a law firm, beds a bike messenger.). A humanoid incarnation of the statue shows up at both Miguel’s and Ranada’s houses to inflict some deep hurting. Miguel escapes with a hand and leg injury, but as with every other relationship she’s been in, Ranada ends up getting “nailed.” Bernard then realizes that Tina has made a wish as well and must rush to rescue her; it’s the least he can do, given he’s the one who brought the thing to life. York’s decision to design totally irrelevant cover art is even more baffling when you see that the villain in The Promise Keeper is actually pretty cool — sort of a wooden version of Pinhead from Hellraiser, but with nails all over his body. That said, given the film’s meager budget, writer/director Martin Whitehead smartly keeps the nail man largely hidden with shadows and shaky camerawork. 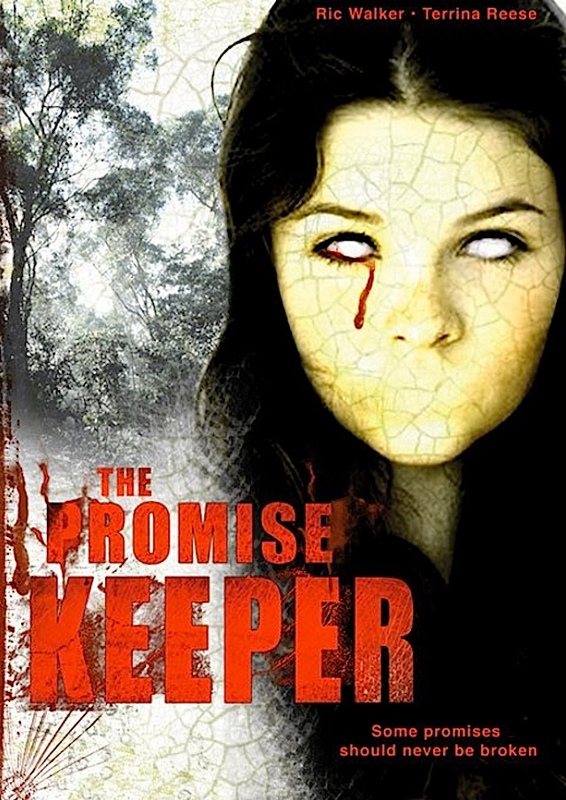 The Promise Keeper isn’t perfect — the acting is a bit uneven and the budgetary constraints are evident at times — but there’s a sense of class, intelligence and an emotional core that’s rare in horror movies today, much less “urban” ones. It relies less on gore than on old-fashioned scares. The tension is mostly in the build-up of anticipation, meaning that the pace is slow, but since it only runs 70 minutes, the film gets in and out quickly, sort of like an extended episode of The Twilight Zone. Hank was a bit too eager to use his Preparation H.
Even creepier is the fact that he doesn’t have a bike. Greg uses his crutch as a crutch.